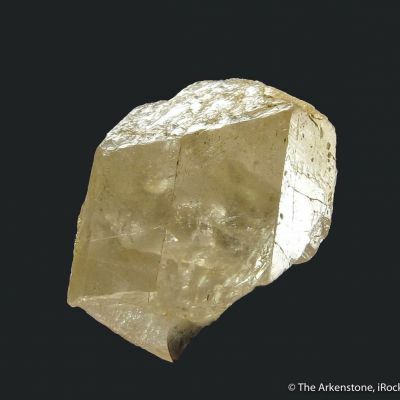 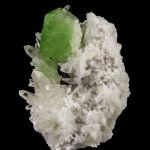 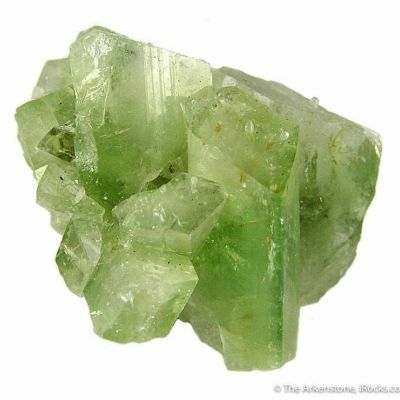 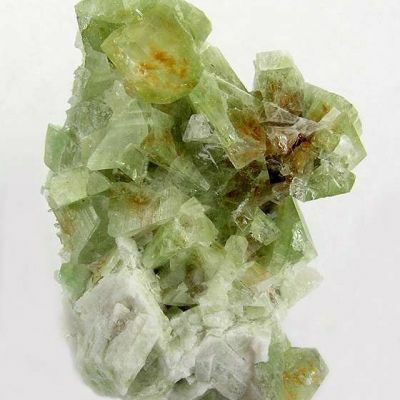 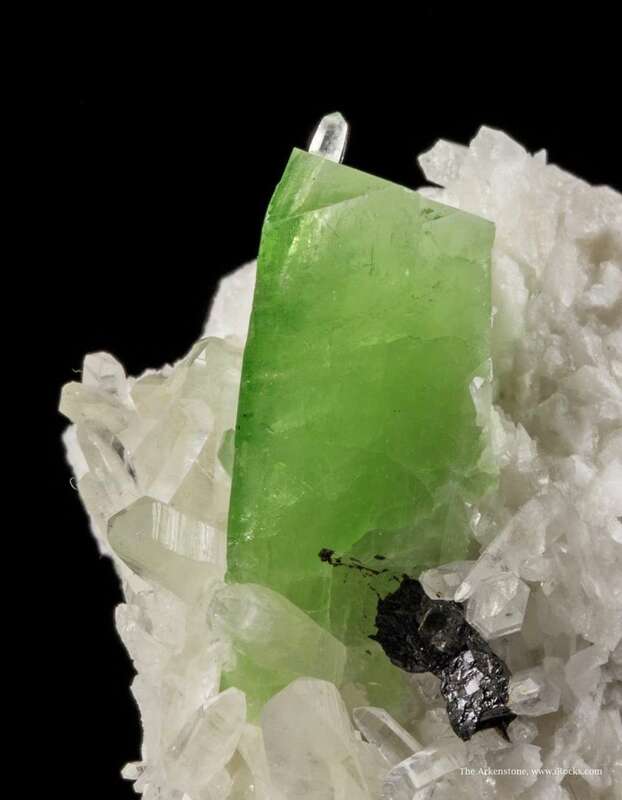 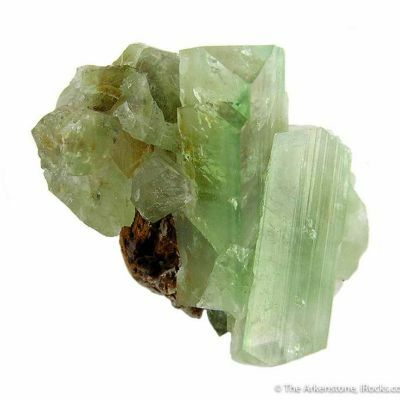 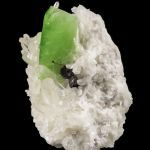 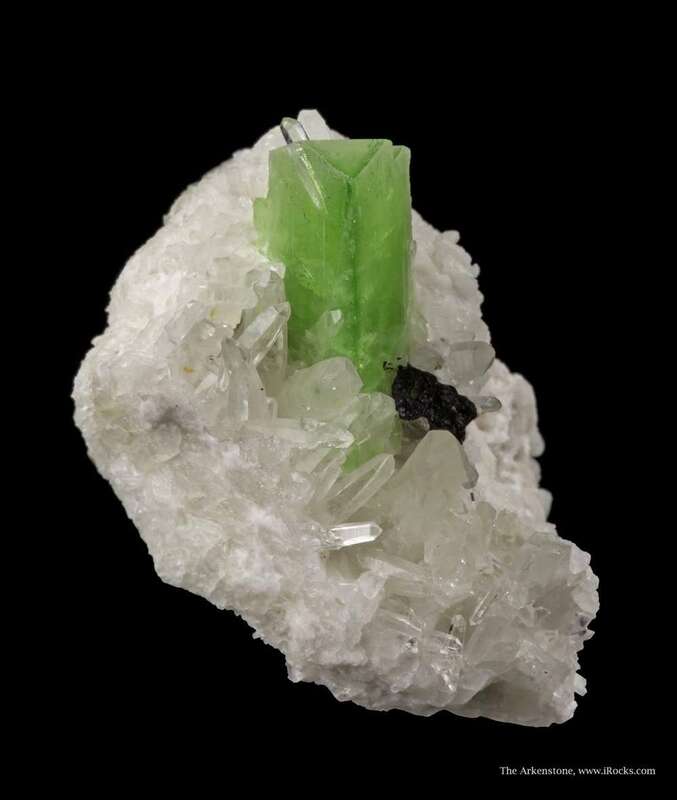 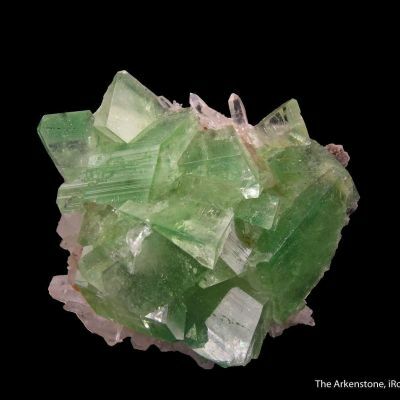 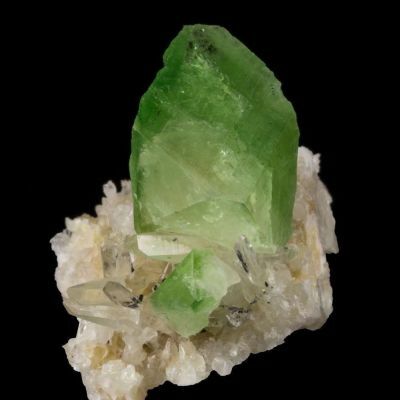 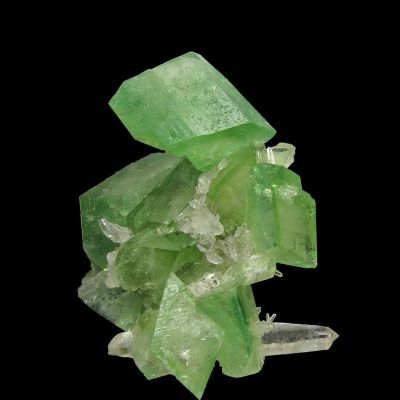 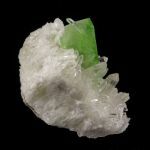 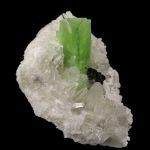 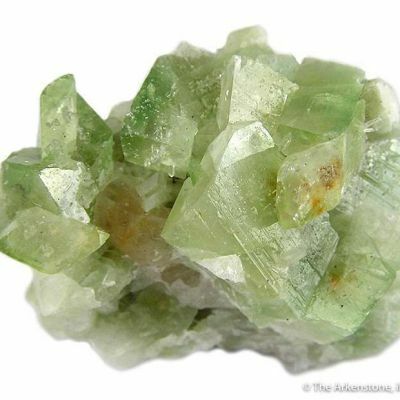 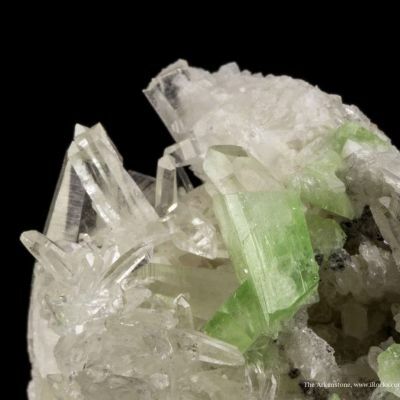 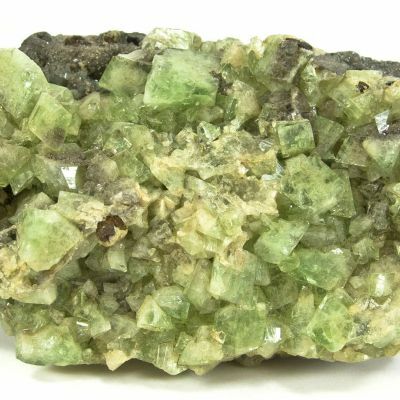 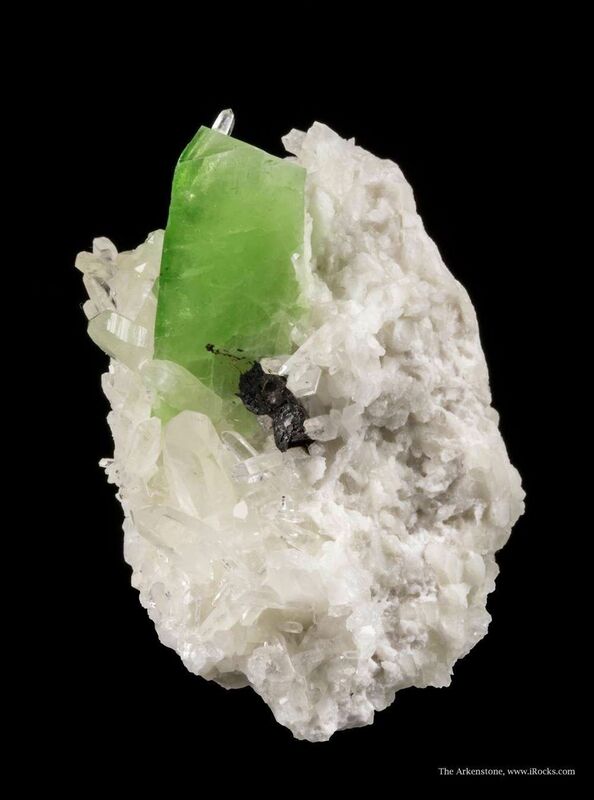 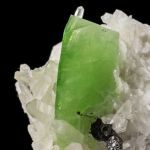 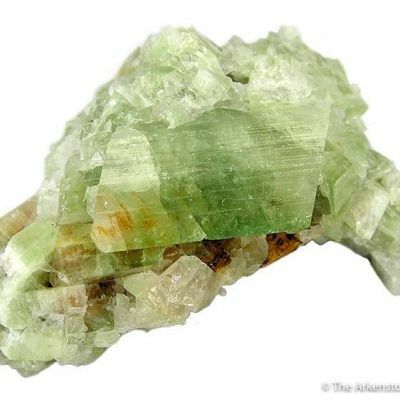 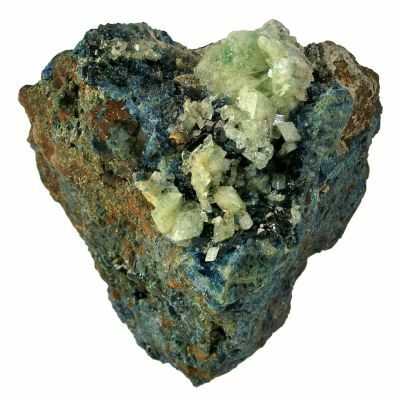 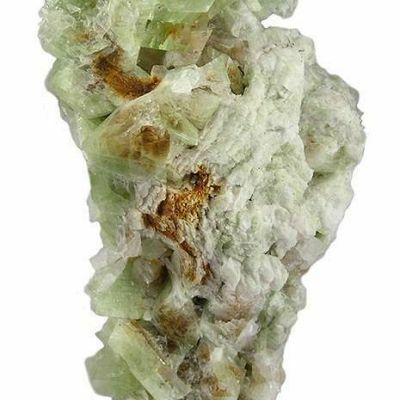 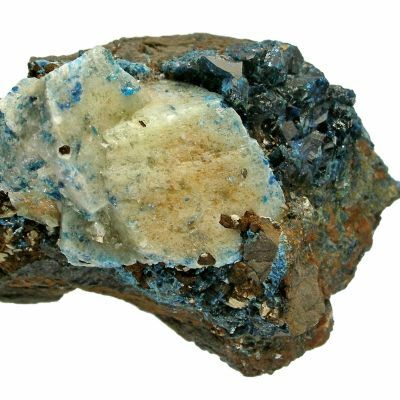 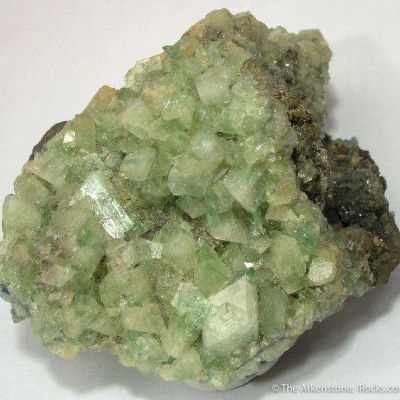 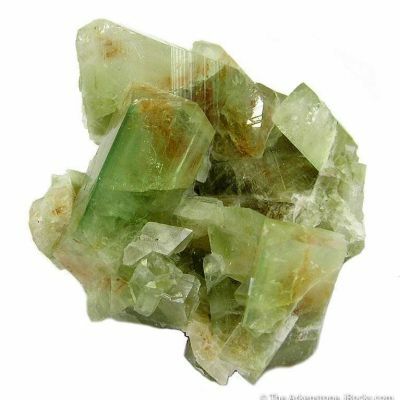 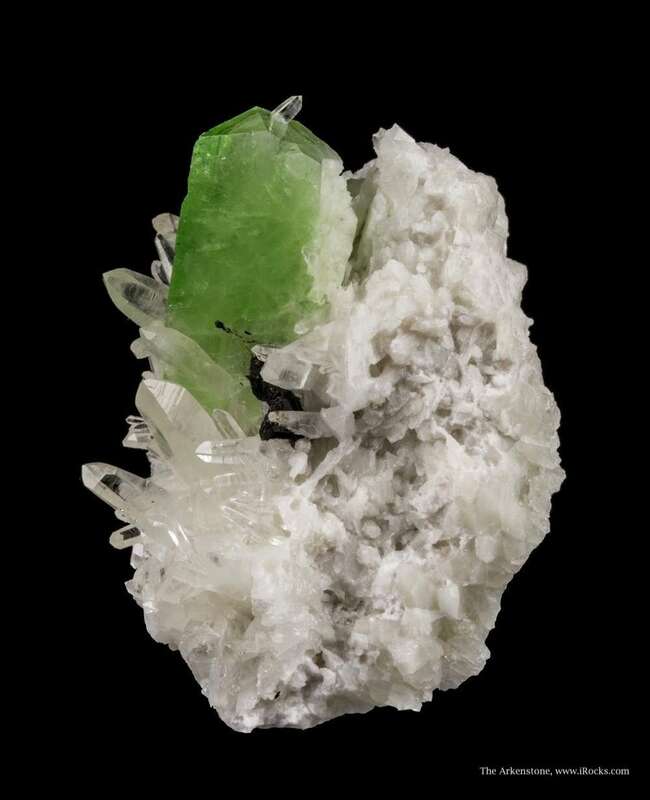 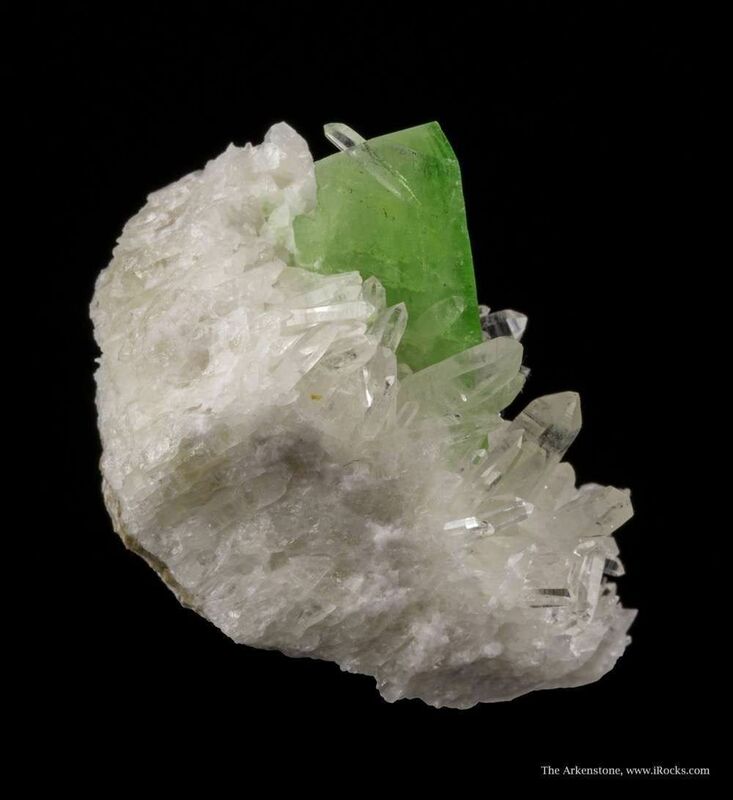 A well formed, glassy and gemmy, rich green crystal of augelite measuring 2 cm in length-huge by any previous standard-is perched aesthetically on glassy and gemmy, colorless quartz crystals to 1.2 cm. 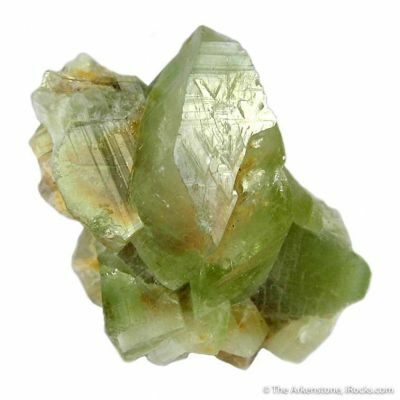 There is even a small, gemmy quartz crystal growing on the termination of the augelite for added "cuteness!" 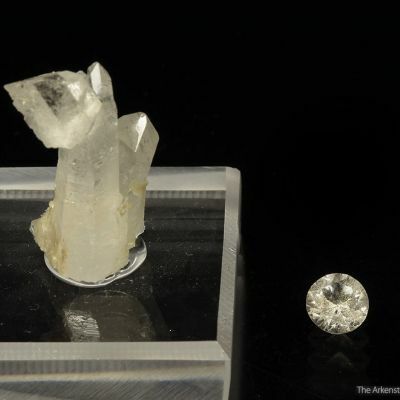 This is a very dramatic and fine example from the new finds over the years 2012-2014 here, and the augelite stands starkly above contrasting matrix so that this is a very displayable "rarity" on any shelf. 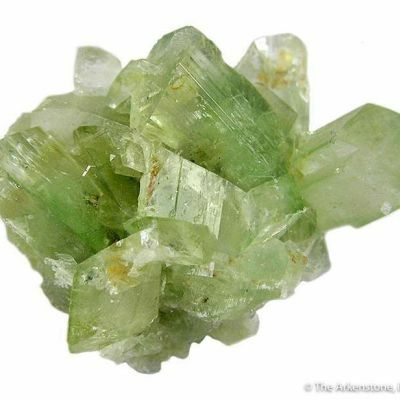 The color here is that of a really nice granny-apple-green, better in person than the photos indicate. 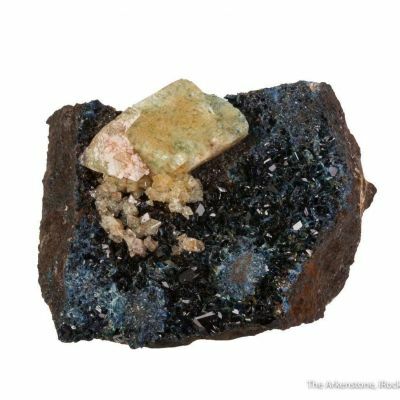 A tiny hubnerite is in association.